Why hello there! So we meet again? That's right people two posts in one day. I'm making some moves! 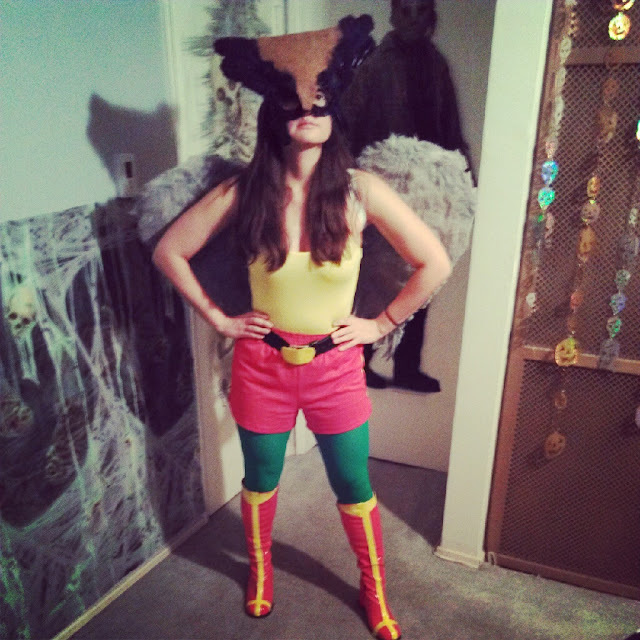 This post is still following the spirit of Halloween but in a really SUPER big way... because it's all about super heroes! Over the weekend I joined my boyfriend and some friends in dressing up like comic book characters from The Justice League. We walked around the streets of Hollywood making sure the streets were safe and crime free... not really but I can play pretend. We did however walk around Hollywood and visited several different bars in our super hero best. At some points I wished that the wings on my costume were real so I could fly away from all the drunkies looking a hot mess and acting like even bigger fools. Oh well it was Halloween and I guess I was a bitter Betty since I was completely sober. Yay sober living! Anywho, I hope you all enjoy the colleague I made of us looking like super studs. 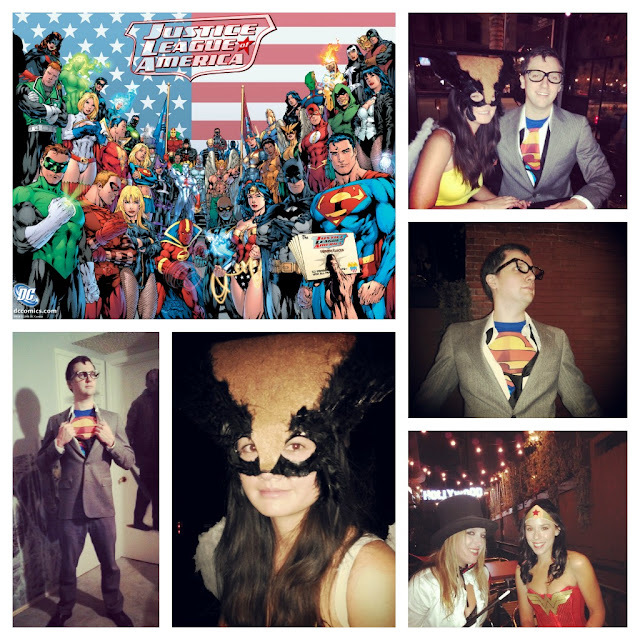 Bottom left: My babe as Clark Kent/Superman. Bottom middle: That's me! A close up of my Hawk Girl Mask. Bottom right: Zatana and Wonder Woman. My Hulk Girl costume. That mask took me forever to make. At first I looked like a furby but it all came together in the end.